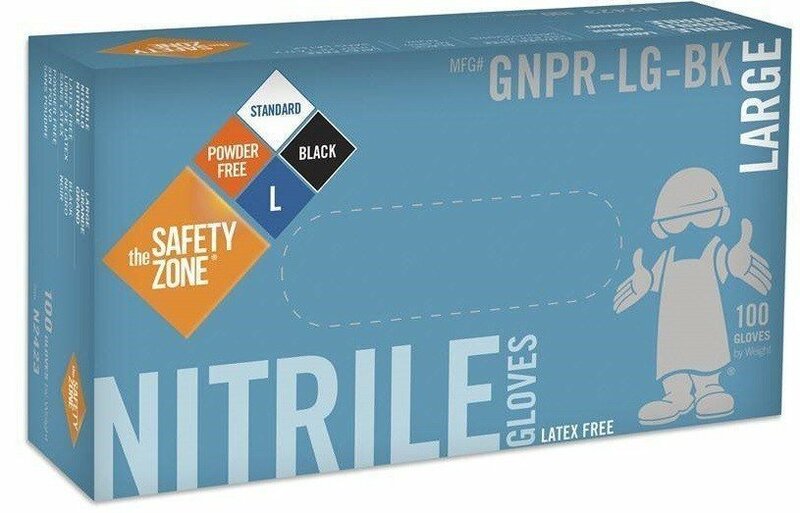 Safety Zone 3-4 Mil Black Nitrile Industrial Gloves- Powder Free. Nitrile is the perfect compromise between latex and vinyl. Nitrile is made from a hypo-allergenic compound that feels a lot like latex but it’s much stronger, costs less, and is more comfortable to wear. Nitrile is perfect for demanding applications, especially cleaning, working with grease or chemicals. 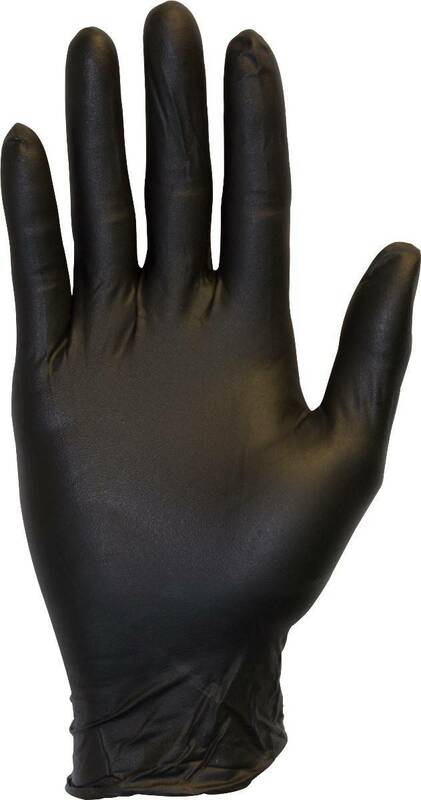 All Safety Zone glove components comply with the provisions of the Federal Food, Drug, and Cosmetic Act which allow repeated use in direct contact with food.